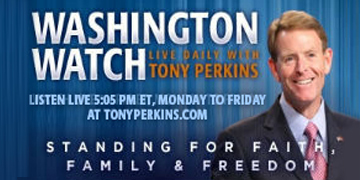 On Wednesday's edition of "Washington Watch with Tony Perkins" Washington Watch producer, Russ Jones, guest hosts for Tony. Rep. Andy Biggs (R-Ariz.) joins our guest host to discuss all-things immigration, upcoming legislation, and media speculation. GOP strategist and pollster John McLaughlin is here with his thoughts on what to expect for Tuesday’s midterm elections. Also, President and CEO of Open Doors USA, Dr. David Curry, joins the program with good news that Asia Bibi, a Christian mother of five who has been on death row over the past eight years for blasphemy laws, was recently acquitted by Pakistan’s Supreme Court.